Heard about veneers from friends, your dentist, or your favorite model, but not quite sure what they are? We’ve put together a quick guide with everything you need to know about porcelain veneers so you can decide whether they’re right for you. Veneers are an extremely fine shell, usually made of porcelain, designed to fit on teeth to improve aesthetics and, to a lesser degree, protect them. Veneers are a preferred option for low-impact, non-invasive aesthetic treatment of your teeth. 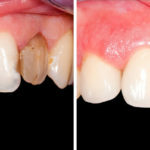 Depending on the type of veneer and your natural teeth, preparations for veneers can be very minimal, or can involve a significant reduction of your natural teeth. Click here to learn more about our Porcelain Veneers Treatment in Beverly Hills, CA. Veneers are usually installed in a gradual process—your first visit to the dentist may only involve a lot of planning, scanning, and figuring out how to proceed. Carefully fitting your veneers to your teeth is critical to the appearance, longevity, and comfort of your veneers, so it’s always important that the dentist take his or her time to get it right. The physical process of installing veneers begins with preparation of the teeth receiving the veneer. Your teeth will be polished down, to create the necessary space for the veneers, and your dentist will take precise molds of your teeth to ensure an accurate fit with your teeth and your mouth. 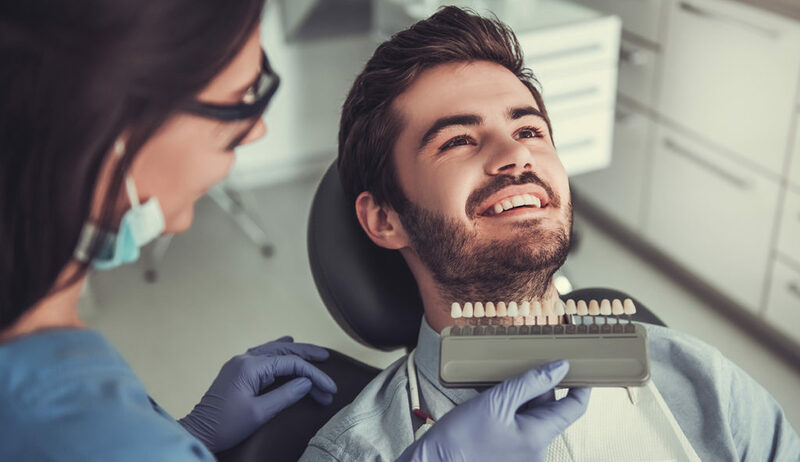 Once the veneers are made, your dentist will have you in for another visit in which your veneers will be tested for the accuracy of the fit, comfort, and color. You’ll be able to request adjustments at this stage. Once you’re satisfied with the final product, either on this visit or your next, the veneers will be treated to prepare them for installation via a specialized adhesive. Are veneers your best choice? Veneers are often the best way to immediately and thoroughly rejuvenate your smile in the face of staining, aesthetic damage, and similar circumstances. Simple, efficient, and effective, a good set of porcelain veneers will last ten years or more without replacement or adjustment, giving you a flawless smile protected against various threats in the interim. Teeth which are reduced significantly in the installation process usually look strange without veneers, so you’re committing to replacements over time in these cases; however, it’s possible to install veneers in many cases without such drastic changes. 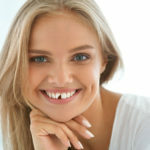 Still not sure if veneers are right for you? Want to learn more before you commit to the procedure? You may schedule a free porcelain veneers consultation in our Beverly Hills Office and learn more about our treatment options. Want to learn more about Porcelain Veneers? 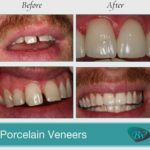 Click here for our Ultimate Guide to Porcelain Veneers.